Because the record label are paying you a lot of money to produce the video they want you to put together a written report discussing the functions that music videos serve for record labels, audiences and artists. They want you to refer to specific artists and their videos as case studies to back up the points you make. They have suggested for a ‘top notch’ report around 4 examples would be good e.g. 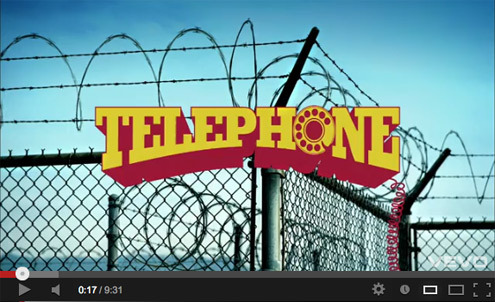 Lady Gaga and Telephone. Remember YouTube and 2012 changes in relation to Vevo. To achieve a high grade you must show that you can explain the purposes of music videos well and use examples , clearly expressing your ideas and using subject terminology effectively. This assignment fulfils criteria P1, M1 and D1 depending on the standard of the work you produce. The record label also needs reassurance that as a producer you understand how music videos can and should look and how the style and content of music videos may vary depending on the artists and genre of music used. They want you to present and analyse 4 very different music videos that use different techniques to sell the artist and appeal to the target audience. You can do this as a PowerPoint presentation.